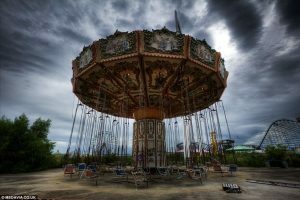 Probably one of the scariest amusement parks on this list would be the abandoned Six Flags of New Orleans, which has been abandoned since 2005, when Hurricane Katrina turned the region into a flooded wasteland. Those who have been brave enough to enter report hearing laughing children at night-time and the sound of rides functioning, despite the dilapidated environment. Bring the ghost hunting gear for this one. Back in the 1950s, a man named Kunizo Matsuo met with Walt Disney for a plan for form up Disney-like park in Japan. The two never reached an agreement, and so Matsuo went ahead with developing his own characters, bringing Nara Dreamland to life in 1961. Soon after, Tokyo Disneyland opened in 1983, and all attention was swept away from Dreamland. In 2006, the park shut down permanently. Though demolition plans are in effect, some of the park still remains. See it before it disappears (or check out the abandoned park below). The life of Gulliver’s Kingdom was short lived. The park opened its doors in 1997 but soon failed to make ends meet in 2001 and shut down. Not only does Gulliver’s Kingdom sit near the dreaded suicide forest on the backside of Mt. 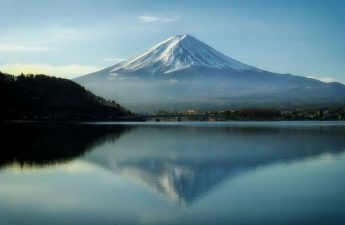 Fuji, but it has some horrifying grounds. If you like creepy places, make this one a priority. Believe it or not, even Disney has a couple of ruined amusement parks. Disney’s River Country was one of the first to drown, and Disney’s Discovery Island failed soon after. Why? After the attacks on September 11, 2001, tourism dropped, and the parks couldn’t recover. 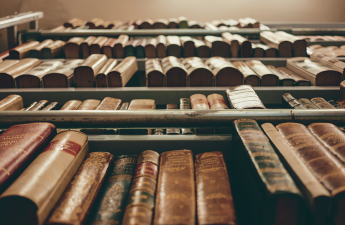 Now, they are left to rot and crumble, creating a haunting atmosphere. Maybe undead Donald will waddle by? 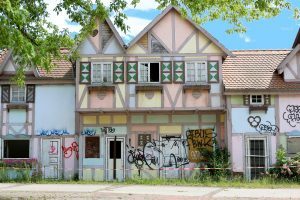 Found in Berlin, next to the River Spree, Spreepark opened as a section of Kulturpark Planterwald in 1969. 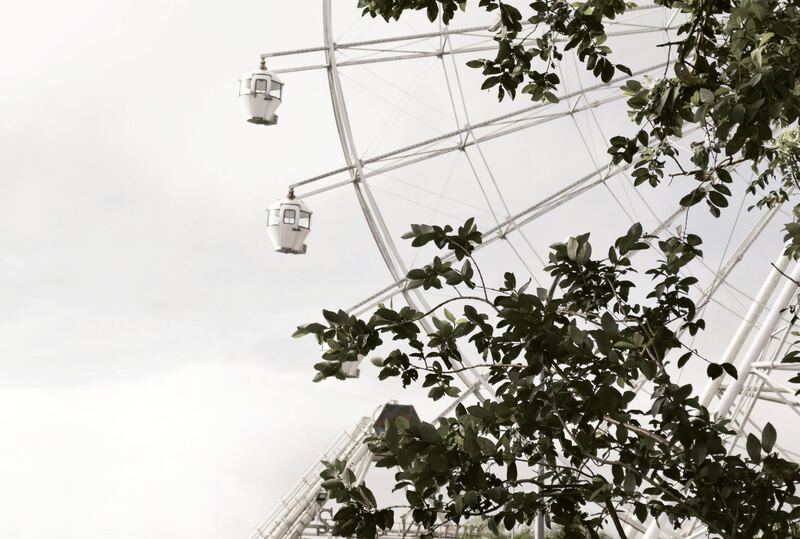 In the park’s most prestigious hour, it would attract more than 1 million visitors a year, but soon the 140 foot tall Ferris wheel and other rides couldn’t bring in enough people. Spreepark eventually closed its gates in 2002. 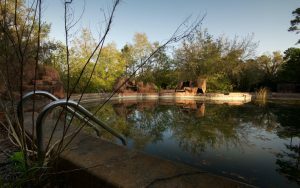 In 2014, the lease for the land was supposedly purchased, but for now, the park remains in a state of disrepair. 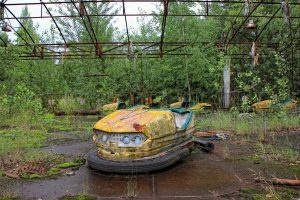 Though the park was supposed to open on May 1st, 1986, the Chernobyl disaster, which happened only a couple kilometers away, prevented the park from ever opening. Thus, not only has this park never been in total operation, it has been left to rot since the area was evacuated. Still to this day, the radiation levels are deemed unsafe. Only enter if you dare. 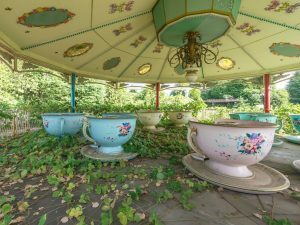 Photographers and adventures beware (or take great delight) of these abandoned amusement parks around the world. 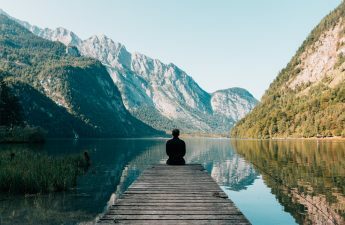 Some may disappear, while others are sure to be reclaimed by nature–so if you want to see them before they are gone, it’s time to start planning your adventure. 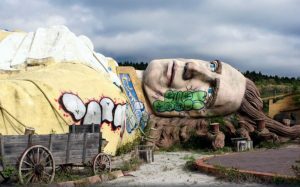 The only question left is which of these best abandoned theme parks you plan on seeing first.